Note: This article is part of Morningstar's 2019 Portfolio Tuneup week. A version of this article appeared on Jan. 22, 2018. How much can you spend in retirement without outliving your money? It's one of the most fundamental questions confronting anyone who's retired--or getting ready to. But it's a head-scratcher for many, according to a survey from the American College of Financial Services. Seven in 10 individuals between the ages of 60 and 75 with at least $100,000 said they were unfamiliar with the oft-cited 4% withdrawal-rate guideline. Meanwhile, 16% of survey respondents pegged 6% to 8% as a safe withdrawal rate. That's a problem. Because setting a sustainable withdrawal rate--or spending rate, as I prefer--is such an important part of retirement planning, pre-retirees and retirees who need guidance should seek the help of a financial advisor for this part of the planning process. And at a bare minimum, anyone embarking on retirement should understand the basics of spending rates: how to calculate them, how to make sure their spending passes the sniff test of sustainability given their time horizon and asset allocation, and why it can be valuable to adjust spending rates over time. Step 1: Determine your current spending rate. To determine your own spending rate, simply tally up your expenses--either real or projected--in a given year. Subtract from that amount any nonportfolio income that you're receiving in retirement: Social Security, pension, rental, or annuity income, to name a few key examples. The amount that you're left over with is the amount of income you'll need to draw from your portfolio. Divide that dollar amount by your total portfolio value to arrive at your spending rate. 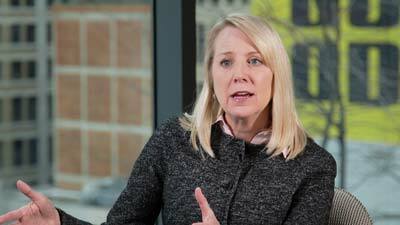 Be sure to keep tabs your withdrawal rate, cash reserves, and a good performance benchmark for your investments, says Morningstar's Christine Benz. Say, for example, a retiree has $60,000 in annual income needs, $28,000 of which is coming from Social Security and the remainder of which--$32,000--she will need to draw from her portfolio. If she has an $800,000 portfolio, her $32,000 annual portfolio spending is precisely 4%. But if she needs to draw $50,000 from her portfolio, her spending rate is 6.25%. Step 2: Run a basic sustainability test. One of the best starting points for testing the viability of your current spending rate is the 4% guideline. The notion that 4% is generally a safe withdrawal rate was originally advanced by financial planner William Bengen; it has subsequently been refined--but generally corroborated--by several academic studies, including the so-called Trinity study. Before retirees take the 4% guideline and run with it, however, it's important to understand the assumptions that underpinned it. First, the research assumed that retirees would wish to maintain a consistent standard of living, drawing a steady stream of income--in dollars and cents--from their portfolios each year. Thus, the 4% guideline assumes that the retiree spends 4% of his or her initial balance in year one of retirement, then subsequently nudges the amount up in subsequent years to keep pace with inflation. Additionally, the 4% guideline assumes a 60% equity/40% bond asset allocation and a 30-year time horizon, and that the 4%, whether it comes from income and dividend distributions or from selling securities, is the total withdrawal. Step 3: Factor in your own situation. Because not every retiree's profile matches the assumptions Bengen used in his research, not every retiree should take the 4% guideline and run with it. Just as calculators can help accumulators gauge the adequacy of their savings rates, so can online calculators help you see if your withdrawal rate is sustainable. Tools like T. Rowe Price's Retirement Income Calculator allow you to harness your own variables to address the viability of your plan. Whether you're tweaking the 4% guideline or using an online tool, be sure to take the following factors into account. Time Horizon: Retirees with time horizons of longer than 30 years should plan to take well less than 4% of their portfolios in year one of retirement. On the flip side, older retirees--those 75 or older, for example--might consider taking a higher withdrawal rate. David Blanchett, head of retirement research for Morningstar Investment Management, has suggested that retirees consider their life expectancies when determining their spending rates. Asset Allocation: A retiree's asset allocation should also be in the mix when calibrating sustainable spending rates. The 4% guideline, as noted above, is centered around a 60% equity/40% bond mix. But investors who want to employ a portfolio that includes more bonds and cash should be more conservative in their spending rates, as Blanchett discussed in this video. Step 4: Be ready to course-correct based on market conditions. Retirees greatly reduce their portfolios' sustainability potential when they encounter a lousy market early on in their retirements and don't take steps to reduce their spending. That's because if they overspend during those lean years, they leave less of their portfolios in place to recover when the market does. Sequence-of-return risk can be mitigated, at least in part, by having enough liquid assets to spend from early on in retirement so that the more-volatile assets that have slumped (usually stocks) can recover. Because sequencing risk poses such a threat, much of the recent research on sustainable withdrawal rates supports the idea of tying in withdrawal rates with portfolio performance. The retiree takes less out in down-market years and can potentially take more out in years when the market performs well, as it has recently. This article takes a closer look at tying withdrawal rates to market performance.